Vice President Dr. Bawumia has challenged Ghana’s youth to take advantage of the various partnerships, policies and programmes being implemented by Government to innovate and make technology an integral part of Ghanaian society. 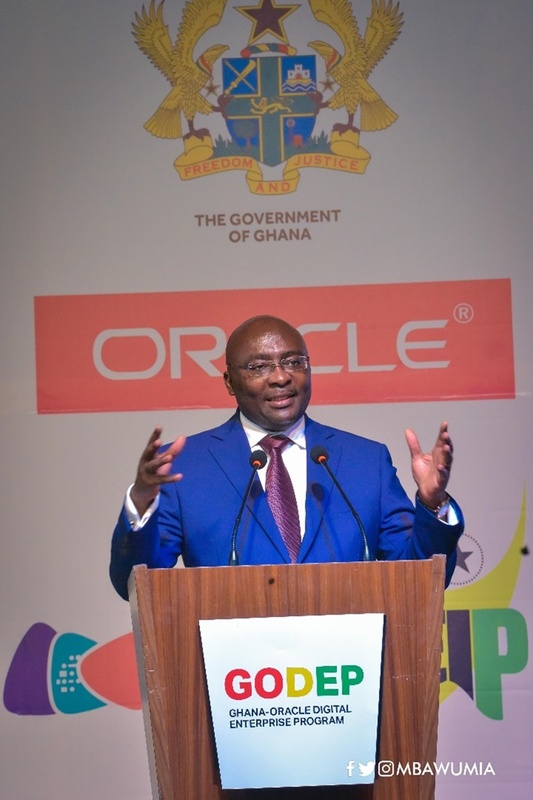 Vice President Bawumia made the call when he launched the first-ever collaboration between the Government of Ghana and Oracle Corporation to develop technology-enabled startups on Thursday, 4th April, 2019 in Accra. Known as the Ghana- Oracle Digital Enterprise Programme (GODEP), it is part of the Oracle Global Startup Ecosystem, Oracle’s programme for entrepreneurs and innovators worldwide will enable at least 500 local start-ups to access and utilize the Oracle Cloud technology.